Aperyer is a fully bespoke, creative catering service based in Yorkshire. 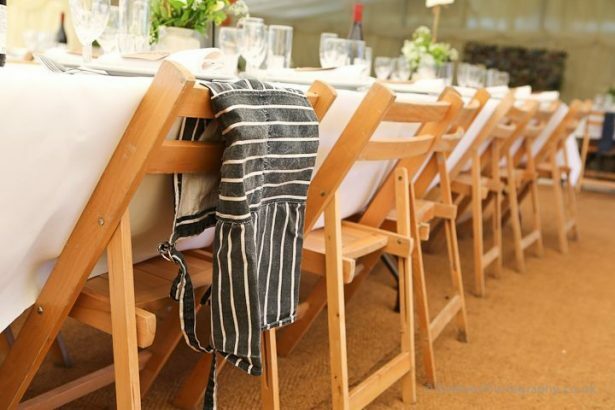 There’s no set menus, no traditional packages, no one-size-fits-all approach to presentation or service, instead we put the emphasis on each client, offering a fully tailored service focused on you, your event and of course, the food you love. We love working closely with all our customers and find the best events are always designed with them in mind – happy client, happy caterers! By working in this way, we’re like a personal pop-up and every event is totally unique. Collaborating with clients leads to all sorts of imaginative, innovative and interesting paths, in fact we never really know where it might lead – and that’s exactly why we love what we do! With years of professional catering and hospitality experience behind us and a great team of staff supporting, we can guarantee a high end, professional and reliable service alongside beautifully presented, great tasting food, served exactly as you’d like it. Ours was a classic chef/waitress love story forged over the kitchen pass in a busy city-centre restaurant in the heart of Bristol. Fast forward two years and we were catering our own wedding – a rustic feast in a field – the bride elbow deep in salad and the groom and his band of brothers busy on the grills. 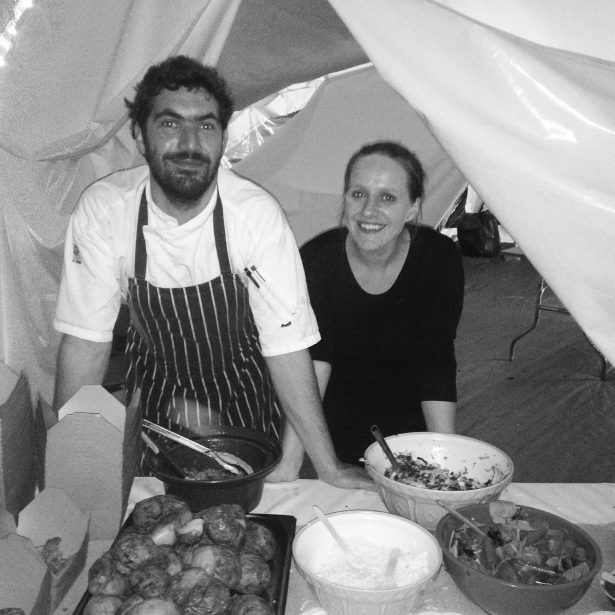 After catering our own wedding we found ourselves doing the same for others, and for a while our we continued to work in kitchens and restaurants while devoting our free time to catering events, pop-ups and parties. But with more and more of our free time spent indulging our real passion, it was time to make things official: we moved back to our beloved Yorkshire and Aperyer was born in 2016. There’s absolutely no other way we can think to spend our lives, we love creating great food and we love doing it together. We thought long and hard about how we’d do this and it all comes down to people. Bringing people together with food they love; it’s our greatest passion both personally and professionally. It’s how we live our lives and what we want to bring to every individual client. To start with we’ve put together some taster brochures with costings to tickle your taste buds and give you an idea of the kinds of things we love to cook and serve. You can also check out our previous events and read some testimonials by couples and clients we’ve worked with or check out some food pics over on our Insta! If you’re feeling inspired then get in touch – we’d love to hear all about what you have in mind for your event and chat about how we can put together a most memorable menu inspired by you and the food you love. Peryer is our surname and so when we began this, our friends and family would affectionately refer to our side projects as ‘A Peryer wedding’, or ‘A Peryer pop-up’, and with that, Aperyer stuck! It’s a nightmare for people to pronounce or remember (#marketingfail) but it’s ours and we love it.